The Internet of Things is transforming the business landscape; data is being collected from a wide variety of devices and locations to enable business to get a competitive edge from new and improved services. This information derived from the data enables business processes to change and react in real time, and via feedback to the Internet of Things devices, enact real time change. In most Internet of Things scenarios, secure cloud services are used to provide the data collation and processing capabilities. The Internet of Things is an information-driven model, and so the secure exchange of the underlying data is crucial to the integrity of the business processes. the integrity of the data exchange between the device and the Cloud. Our solutions are focused on the critical national infrastructure (CNI) environment, where enhanced security controls are essential to preserve the integrity and availability of the service, as well as protect data privacy. Data Transformation – removing the potential for malware via data transformation, based on the principle of only allowing “known good” data to pass through. The Data Verification and Data Transformation elements of our approach are implementations of our Secure Information eXchange Architecture (SIXA) in the Amazon Web Services environment. SIXA is a tried and tested architecture used to secure communication flows in high assurance, accredited, public sector environments. 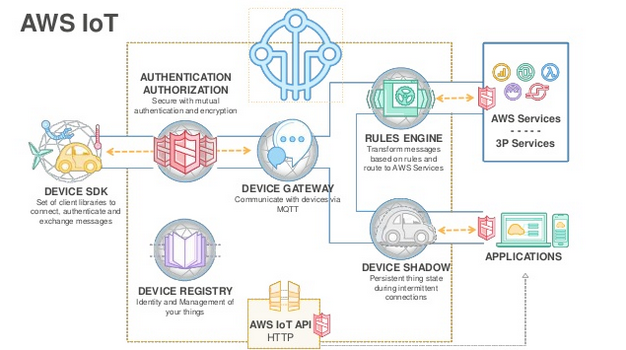 The Amazon Web Services (AWS) “Internet of Things” platform provides a solution to many common IoT challenges, and our professional services can be applied in this environment to provide an additional layer of assurance. Data integrity – conformant and malware free. For an introduction to AWS, and how Nexor can help with solutions in high assurance environments, we recommend you watch this webinar on AWS Best Practices for IoT Security in the Cloud. The Internet of Things can enable new business models and enable greater business efficiency – but only if the information coming from the sensors can be relied upon and the control systems act as instructed. By adopting the expertise of Nexor in enhancing and configuring the IoT security controls, our customers can be confident cloud-based data is based on genuine information from genuine sensors, delivering an IoT solution that can be relied upon. When combined with our CyberShield Secure services our customers have Nexor’s commitment that the solution can be trusted.